[easyazon_block add_to_cart=”default” align=”left” asin=”0789754509″ cloaking=”default” layout=”top” localization=”default” locale=”US” nofollow=”default” new_window=”default” tag=”net7749-20″]This is the collection of official Samsung Galaxy Note 4 User Guide in all languages! All of the Galaxy Note 4 user guides are in PDF format (You can get Adobe PDF Reader here). You can download it to your devices (PC, smartphone, tablet) to read it later or read it online in your browser. In different regions or countries, or even for different carriers, Galaxy Note 4 may be slightly different. So, please try to download and use the user guide for Galaxy Note 4 for your region. If you cannot find the user manual for your Galaxy Note 4, please let us know in the comment box below. This Galaxy Note 4 User Guide is for Galaxy Note 4 sold in Europe and Southeast Asia. The corresponding model number is SM-G910F, SM-G910C, SM-G910H and SM-G910CQ. If you cannot find the Galaxy Note 4 user manual for your Galaxy Note 4, you can try this one. This German version of Galaxy Note 4 User Guide is for Galaxy Note 4 sold in Germany (Federal Republic of Germany). The corresponding model number is SM-G910F, SM-G910C and SM-G910H . If you cannot find the Galaxy Note 4 user manual for your Galaxy Note 4, you may try #1 in this list, which is for international version in English. This Galaxy Note 4 User Guide is in Korean language( 한국어) and is for Galaxy Note 4 sold in Republic of Korea (South Korea)). The corresponding model number is SM-G910S for SK Telecom, South Korea. This Galaxy Note 4 User Guide is in Korean language( 한국어) and is for Galaxy Note 4 sold in Republic of Korea (South Korea)). The corresponding model number is SM-G910K for Korea Telecom, South Korea. This Galaxy Note 4 User Guide is in Korean language( 한국어) and is for Galaxy Note 4 sold in Republic of Korea (South Korea)). The corresponding model number is SM-G910L for LG U Plus, South Korea. This Galaxy Note 4 User Guide is in English language and is for Galaxy Note 4 sold to AT&T customers in USA. The corresponding model number is SM-G910A for AT&T, USA. This Galaxy Note 4 User Guide is in English language and is for Galaxy Note 4 sold to Verizon Wireless customers in USA. 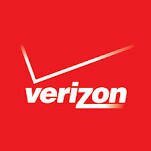 The corresponding model number is SM-G910V for Verizon Wireless, USA. This Galaxy Note 4 User Guide is in English language and is for Galaxy Note 4 sold to Sprint customers in USA. The corresponding model number is SM-G910P for Sprint, USA. This Galaxy Note 4 User Guide is in English language and is for Galaxy Note 4 sold to T-Mobile customers in USA. 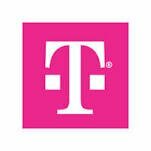 The corresponding model number is SM-G910T for T-Mobile, USA. This Galaxy Note 4 User Guide is in English language and is for Galaxy Note 4 sold to U.S. Cellular customers in USA. The corresponding model number is SM-G910R for U.S. Cellular, USA. This Danish Language (dansk) version of Galaxy Note 4 User Guide is for Galaxy Note 4 sold in Denmark (Kingdom of Denmark). The corresponding model number is SM-G910F, SM-G910C and SM-G910H . This Swedish Language (svenska) version of Galaxy Note 4 User Guide is for Galaxy Note 4 sold in Sweden (Kingdom of Sweden). The corresponding model number is SM-G910F, SM-G910C and SM-G910H . This Finnish Language (Suomen kieli) version of Galaxy Note 4 User Guide is for Galaxy Note 4 sold in Finland (Republic of Finland). The corresponding model number is SM-G910F, SM-G910C and SM-G910H . This Norwegian language (norsk) version of Galaxy Note 4 User Guide is for Galaxy Note 4 sold in Norway (Kingdom of Norway). The corresponding model number is SM-G910F, SM-G910C and SM-G910H . This Spanish language (español) version of Galaxy Note 4 User Guide is for Galaxy Note 4 sold in Spain (Kingdom of Spain). The corresponding model number is SM-G910F, SM-G910C and SM-G910H . This Thai language (Siamese, ภาษาไทย phasa thai) version of Galaxy Note 4 User Guide is for Galaxy Note 4 sold in Thailand (Kingdom of Thailand). The corresponding model number is SM-G910F, SM-G910C and SM-G910H . This Russian language (русский язык) version of Galaxy Note 4 User Guide is for Galaxy Note 4 sold in Russia (Russian Federation). The corresponding model number is SM-G910F, SM-G910C and SM-G910H . This Portuguese language (português) version of Galaxy Note 4 User Guide is for Galaxy Note 4 sold in Portugal (Portuguese Republic). The corresponding model number is SM-G910F, SM-G910C and SM-G910H . This Polish language (język polski) version of Galaxy Note 4 User Guide is for Galaxy Note 4 sold in Poland (Republic of Poland). The corresponding model number is SM-G910F, SM-G910C and SM-G910H . This Croatian language (hrvatski) version of Galaxy Note 4 User Guide is for Galaxy Note 4 sold in Croatia (Republic of Croatia). The corresponding model number is SM-G910F, SM-G910C and SM-G910H . This French language (le français) version of Galaxy Note 4 User Guide is for Galaxy Note 4 sold in France (French Republic). The corresponding model number is SM-G910F, SM-G910C and SM-G910H . This Dutch language (Nederlands) version of Galaxy Note 4 User Guide is for Galaxy Note 4 sold in Netherlands (Nederland). The corresponding model number is SM-G910F, SM-G910C and SM-G910H . This Czech language (čeština, český jazyk) version of Galaxy Note 4 User Guide is for Galaxy Note 4 sold in Czech (Czech Republic). The corresponding model number is SM-G910F, SM-G910C and SM-G910H . This Latvian language (latviešu valoda) version of Galaxy Note 4 User Guide is for Galaxy Note 4 sold in Latvia (Republic of Latvia). The corresponding model number is SM-G910F, SM-G910C and SM-G910H . This Lithuanian language (lietuvių kalba) version of Galaxy Note 4 User Guide is for Galaxy Note 4 sold in Lithuania (Republic of Lithuania). The corresponding model number is SM-G910F, SM-G910C and SM-G910H. This Estonian language (eesti keel) version of Galaxy Note 4 User Guide is for Galaxy Note 4 sold in Estonia (Republic of Estonia). The corresponding model number is SM-G910F, SM-G910C and SM-G910H. This Greek language (ελληνικά) version of Galaxy Note 4 User Guide is for Galaxy Note 4 sold in Greece (Hellenic Republic). The corresponding model number is SM-G910F, SM-G910C and SM-G910H. Download link (in PDF): Samsung Galaxy Note 4 User Guide in Greek language (ελληνικά) (SM-G910, KitKat, Greece). This Hebrew language (עברית ʿIvrit) version of Galaxy Note 4 User Guide is for Galaxy Note 4 sold in Israel (State of Israel). The corresponding model number is SM-G910F, SM-G910C and SM-G910H. Download link (in PDF): Samsung Galaxy Note 4 User Guide in Hebrew language (עברית ʿIvrit) (SM-G910, KitKat, Israel). This Hungarian language (magyar) version of Galaxy Note 4 User Guide is for Galaxy Note 4 sold in Hungary (Magyarország). The corresponding model number is SM-G910F, SM-G910C and SM-G910H. Download link (in PDF): Samsung Galaxy Note 4 User Guide in Hungarian language (magyar) (SM-G910, KitKat, Hungary). This Romanian language (limba română) version of Galaxy Note 4 User Guide is for Galaxy Note 4 sold in Romania (România). The corresponding model number is SM-G910F, SM-G910C and SM-G910H. Download link (in PDF): Samsung Galaxy Note 4 User Guide in Romanian language (limba română) (SM-G910, KitKat, Romania). This Slovak language (slovenčina, slovenský jazyk) version of Galaxy Note 4 User Guide is for Galaxy Note 4 sold in Slovakia (Slovak Republic). The corresponding model number is SM-G910F, SM-G910C and SM-G910H. Download link (in PDF): Samsung Galaxy Note 4 User Guide in Slovak language (slovenčina, slovenský jazyk) (SM-G910, KitKat, Slovakia). This Turkish language (Türkçe) version of Galaxy Note 4 User Guide is for Galaxy Note 4 sold in Turkey (Republic of Turkey). The corresponding model number is SM-G910F, SM-G910C and SM-G910H. Download link (in PDF): Samsung Galaxy Note 4 User Guide in Turkish language (Türkçe) (SM-G910, KitKat, Turkey). This Simplified Chinese language (简体中文) version of Galaxy Note 4 User Guide is for Galaxy Note 4 sold in international market (NOT for Note 4 sold in China). The corresponding model number is SM-G910F, SM-G910C and SM-G910H. Download link (in PDF): Samsung Galaxy Note 4 User Guide in Simplified Chinese language (简体中文) (SM-G910, KitKat, International). This Traditional Chinese language (正體中文) version of Galaxy Note 4 User Guide is for Galaxy Note 4 sold in Taiwan (Republic of China). The corresponding model number is SM-G910U. This Arabic language (العربية/عربي al-ʻarabiyyah/ʻarabī ) version of Galaxy Note 4 User Guide is for Galaxy Note 4 sold in the Middle East. The corresponding model number is SM-G910F, SM-G910C and SM-G910H. Download link (in PDF): Samsung Galaxy Note 4 User Guide in Arabic language (العربية/عربي al-ʻarabiyyah/ʻarabī ) (SM-G910, KitKat, the Middle East). This Persian language (Parsi / Farsi; فارسی / پارسی) version of Galaxy Note 4 User Guide is for Galaxy Note 4 sold in the Middle East. The corresponding model number is SM-G910F, SM-G910C and SM-G910H. Download link (in PDF): Samsung Galaxy Note 4 User Guide in Persian language (Parsi / Farsi; فارسی / پارسی) (SM-G910, KitKat, the Middle East). If you cannot find the Galaxy Note 4 user guide in your language or for your device, please let us known in the comment box below. We will try to add the user guides in your language as fast as we can. I am looking for the Canadian (SM-N910W8) (English) Version of manual. We will check. But you can use the international one for the time being. You can download all manuals on user manuals section. We don’t sell them: they are free. My phone is Note 4 N910a, which manual should I use. It depends on your region. Anyway, your can try the international one. Note 4 uses micro SIM card, which is bigger than the one in Note 5, but same as the one in Note 3. My Galaxy Note 4 is an SM-N910F (checked in settings – About device) and all documentation other than this has N910F, Why call it G910F, does it mean a different version? It should be SM-N910. G is for galaxy s series, e.g. SM-G910 is for galaxy s5. Здравейте, ако е възможно дайте го и на български език. It seems Galaxy Note 4 was not officially launched in Japan. I think only Note Edge is launched in Japan. SO, there is probably no Japanese version user manual for Galaxy Note 4.
galaxy note 4 region indonesian. pls upload. or link to download. thank u so much. The Indonesian version of the user manual has not been released yet. You may try the English one first.